Chicopee is Waterloo Region’s Year Round Playground! From skiing and snowboarding in the winter, to bike trails and beach volleyball in the summer, Chicopee Ski & Summer Resort provides year-round outdoor fun for the entire family! 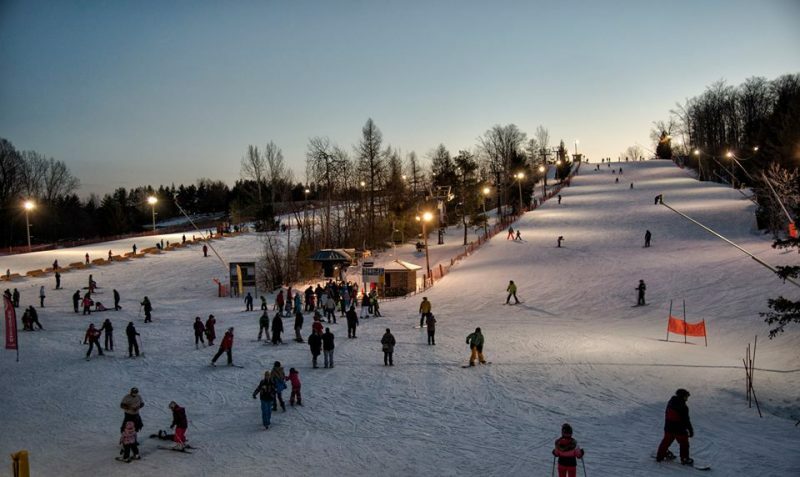 Chicopee offers a number of programs, activities and events, designed to provide unique and memorable experiences for every season. Chicopee is proud to be one of Ontario’s most popular ski and snowboard family centres. 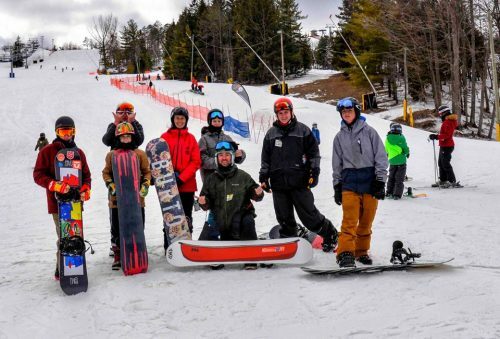 From its Discover programs for new skiers and snow boarders, to advanced lessons for all ages, Chicopee has you covered! Looking for an opportunity to ski at a more competitive level? Be part of Chicopee’s Racing team and participate in Alpine Canada events. Chicopee also offers Winter Camps to keep kids busy, and Apprenticeship programs. All of its programs promote healthy living through outdoor exercise, while also building self-confidence, teamwork and leadership skills. The fun continues at Chicopee when the weather heats up! Mountain bike enthusiasts can explore the single track trail network that winds its way through Chicopee’s 165 acre property. 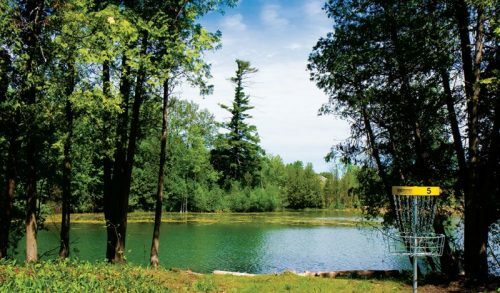 Fans of disc golf will enjoy Chicopee’s 18 hole course with its challenging water shots, up and downhill holes, and spectacular views. 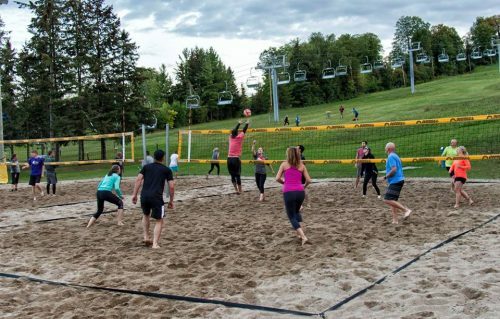 Join one of Chicopee’s beach volleyball leagues and play on their Olympic regulation beach volleyball courts. Tennis players can purchase a Chicopee Tennis Card for access to their Har-Tru clay tennis courts. Chicopee’s Summer Camps are a great way for kids to enjoy outdoor summer fun! Chicopee’s Adventure Challenge Centre provides a great outdoor experience for your next team building session. Or, try an Amazing Race style challenge that can be customized to meet any program’s needs. Skiing and snowboarding group packages can also be arranged. Meeting rooms and on-site catering are also available to complete the overall package. Chicopee is also a great place for birthday parties and wedding celebrations. Contact Chicopee Ski & Summer Resort for more information. Relish Cooking Studio is a cooking school and retail store located in Kitchener. Designed for both the seasoned cook and the beginner, the team at Relish will help you have fun while learning to create new dishes. Relish also offers private, corporate and Team Building events.